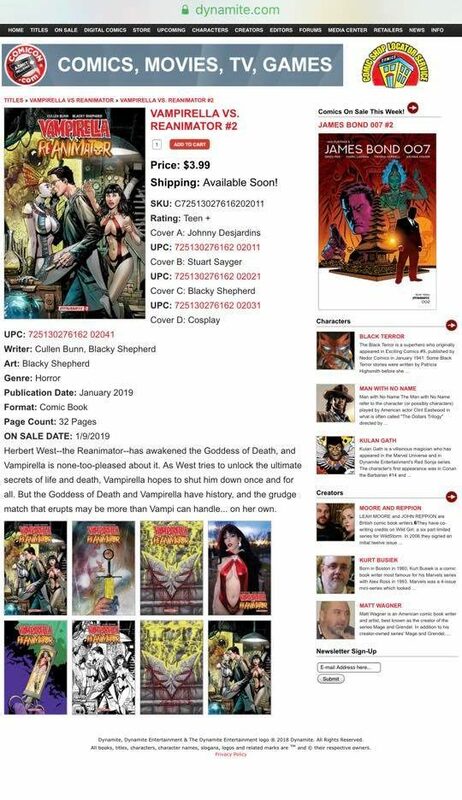 January’s Vampirella Vs. ReAnimator #2 will give fans of both Vampirella, and Cosplay Model, and Actress Jessica Felice the opportunity to kill two birds with one stone, so to speak. Jessica is the cover model for this issue and is both honored, and humbled, as it has been a life long dream for her. Be sure to pick up your special issue at your local comic book store or get a signed copy from Jessica at one of her guys appearances at the conventions she will be attending this year.